A study from Juniper Research has forecasted that -particularly in the customer service industry- chatbots could save businesses up to US$8 billion annually by 2022, up from $20 million in 2017. Of course, as the benefits of bots grow (and improve), the market for them will also increase- but building chatbots requires specific skills, and one needs to invest time, effort and money to train the requisite AI engine and integrate it with the necessary services. But if this notion worries you, do not fear: Egyptian startup WideBot, a bot builder platform, aims to take the hassle out by letting users build chatbots- and no, you don’t need to have any special coding or technical skills to do that. 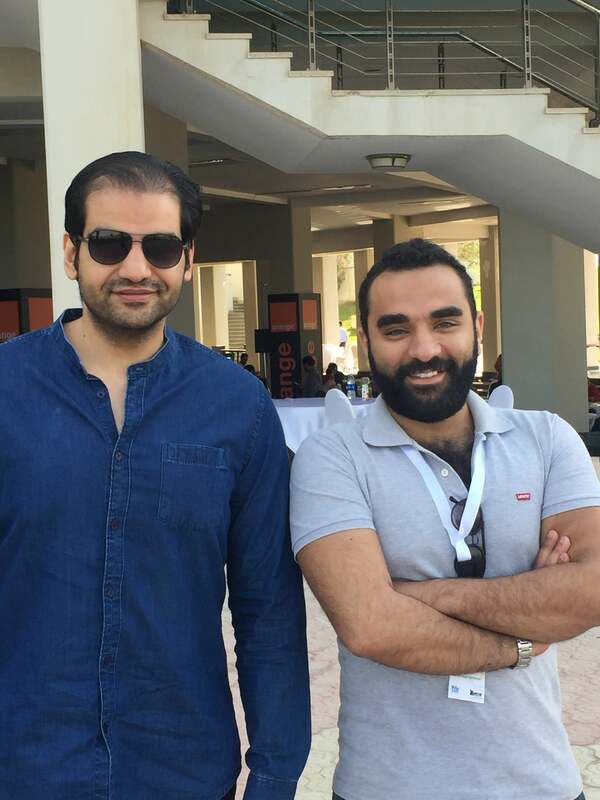 Founded by Mohammed Nabil and Ahmed Labib, the Cairo-based startup launched earlier this year after the duo came across bots on the Telegram app, and after market research, saw the potential of bot technology for businesses and consumers. The co-founders, who come from a software development background and also have previous startup experience, noticed the market value of bots when tech giants started to make inroads into this space. Facebook, for instance, allowed businesses to integrate and support chatbots on its Messenger platform last year, while Microsoft developed its own bot builder framework, and IBM launched Watson, a natural language processing (NLP) tool, which can build chatbots that understands natural language to integrate to various messaging platforms. What makes WideBot particularly noteworthy is its focus on supporting AI in Arabic. Though the platform’s generated chatbots interact in both Arabic and English, Nabil says they wanted the enterprise to focus on Arabic to give them a competitive edge against rivals in this space. Considering the various Arabic dialects from Arab-speaking nations, it is indeed a challenge (and, to be fair, a feat for them) to tackle. Another USP that sets the company apart is that WideBot is an industry-specific bot builder- that is, instead of having a general platform for building bots for all industries, WideBot promises to ease the process by catering to specific sectors. WideBot platform. Image credit: WideBot. Its website elaborates that WideBot’s framework functions includes natural language understanding, machine learning, and conversation support, as well as integrations with Word- Press, RSS feeds, Mongo DB, Twilo SMS, WooCommerce and more platforms. Currently, WideBot has more than 30,000 users using their bots, with clients from Argentina, Saudi Arabia, and Egypt, including Santander Rio Bank and Americana Group in KSA. Its core business model is monthly subscription-based and providing white labeled chatbots for enterprises. A nifty product under WideBot (where the framework’s capability shines) is Menu Maker, its bot builder platform for restaurants to automate the food ordering process by helping customers order food directly from the messenger and thereby lower costs too. Besides providing notifications for ready orders on the web, Android, or desktop app, the bot’s distinct advantage is its ability to interact in Arabic. At the time of writing, Menu Maker serves more than 10 restaurants, and brands are incentivized to try it out as they have a two-month free trial period to test functionality and features, with the team on hand to offer customer service. A common issue with chatbots is bot discovery and onboarding users, given that everyday consumers are not accustomed to the tech yet. To get past this, the team encourages brands to make their Facebook cover photo relate to their bots with a call to action, while also including testimonials of customer’s experience. They also advise to insert referral links in ad campaigns, and even use QR codes, which has worked out well for restaurants. Over on the tech side, the team looks out for conversations that take a longer-than-usual session time, and try to improve its UX design and reduce conversation steps to create smoother flow to the process and improve accuracy. A “help” text is also available. Nabil describes the process as being a “guided experience for users, in which they learn how to use the bot, by using it.” Plus, to motivate users, the team has gamified the process, and user data is retained to improve retention and provide personalized offers and messages for each individual user. Regarding trends in the chatbot arena, Nabil says they’re looking to leverage their tech in the e-commerce and fintech industry, as they feel it’s these industries that maintain a relationship with customers based on trust, and the startup want to “take it to the next level” to help enterprises perform better and generate more user engagement and retention. They’re also considering providing white labeling to clients working in the telecom, banking and healthcare sectors. Widebot co-founder and CTO Ahmed Labib and co-founder and CEO Mohammed Nabil. Image credit: WideBot. For the next six months though, the team is focused on hitting some hefty milestones: this includes sustaining their product in the food ordering and e-commerce industry, plus gain at least 500 clients in the region. Besides forming an ardent team, they also aim to train their AI engine to answer up to 90% of user inquiries, and further improve their knowledge database to serve those two core industries. It does look like WideBot can accomplish these goals though- after all, the startup, which was initially bootstrapped, has done quite a lot in its first year: it joined Egypt’s Technology Innovation and Entrepreneurship Center (TIEC) wherein it received an undisclosed angel investment from its incubation program, and won ArabNet Cairo’s Startup Battle 2017 in first place. Given these achievements, and with a mission to have the “strongest and smartest” AI engine that can understand and interact in Arabic in the MENA region, this startup is definitely one that’s worth keeping an eye on. My Customers Showed Me the Door. Here's How I Won Them Back.